Jackson Ski Touring included in award list for best XC Center – now go vote! 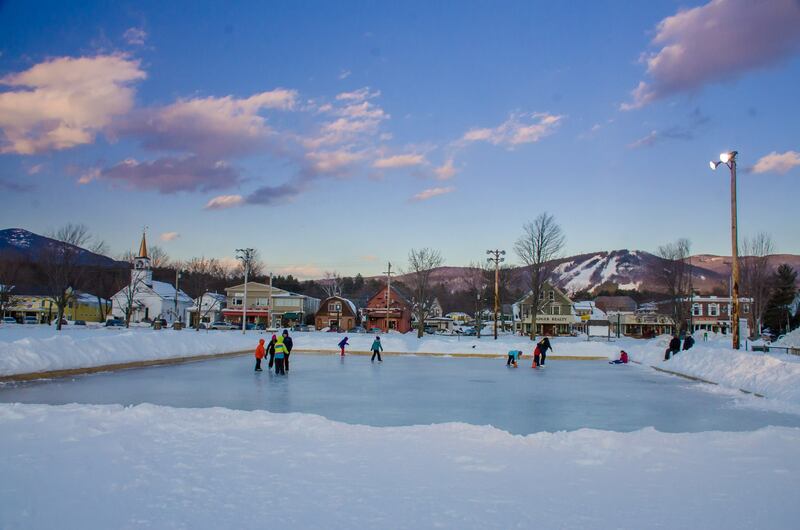 North Conway, NH –Now through November 26th USA Today/10 Best is running its annual readers polls for the Best Ski Town Award and the Best XC Ski Resort Award. North Conway has been nominated for the Best Ski Town Award list and Jackson Ski Touring Foundation has been named to the Best Cross Country Ski Resort Award list. Readers are encouraged to vote daily for these esteemed awards. The top ten vote-getters after the voting closes on November 26th will be named to the lists, and the results will be announced on Friday, December 7th. Nominations to the list come from USA Today’s local experts, consisting of expert skiers/snowboarders and/or travel and winter sports writers. Both North Conway and Jackson Ski Touring Foundation have been nominated to the list for several years in a row. Last year, New Hampshire voters hit the polls with fury and North Conway was named the #1 ski town in the USA. In the years before that was included in the top ten list. Jackson Ski Touring also made it to the top ten list for the past two years. With help from those who love skiing and après ski in Mt Washington Valley, both North Conway and Jackson Ski Touring Foundation will take honors in this esteemed list once again. “Making it on to these top ten lists really helps to position Mt Washington Valley as a premier ski destination,” said Janice Crawford, Executive Director of the Mt Washington Valley Chamber of Commerce. “North Conway and Jackson Ski Touring are among only a handful of places in New England named to these 10Best reader polls. We encourage everyone to vote daily to help us maintain the place on these lists, then tell customers about the award so they select Mt Washington Valley as their skiing destination of choice this winter,” finished Janice. Mt Washington Valley is home to 13 ski resorts and XC Centers. Referred to by many as “the birthplace of skiing,” North Conway has been garnering accolades as a ski town for decades. In 2011, North Conway was named the #1 Destination Village for Skiers. In 2012 National Geographic named North Conway among the top 25 ski towns worldwide. In 2015 Lonely Planet named North Conway to itsBest of the US 2015 list, and in 2016 Travel & Leisure readers named North Conway among the top Mountain Towns. North Conway has been nominated among the top Ski Towns in the USA by USA Today/10 Best for four years in a row, and all four years has made it among the top five ski towns on the list; last year it was number one! Recently North Conway was named in a 10 Best/USA Today Readers Poll among the Best Foliage Destinations and earlier this year it was named among the Best Small Adventure Towns in the 10 Best/USA Today Travel Awards. And when it comes to XC skiing, Jackson Ski Touring Foundation has shared the limelight too, being named #1 Family Friendly Snowshoe Nordic Center in the USA by Snowshoe Magazine. 2018 marks the third year for Jackson Ski Touring Foundation to make it to USA Today’s Top Ten XC Resorts list. To vote for North Conway as the best ski town, go to https://www.10best.com/awards/travel/best-ski-town-2018/north-conway-new-hampshire/. To vote for Jackson Ski Touring Foundation as the Best XC Resort, go to https://www.10best.com/awards/travel/best-cross-country-ski-resort-2018/jackson-ski-touring-foundation-jackson-n-h/. To learn more about ski and winter vacations in North Conway and Mt Washington Valley, go to www.MtWashingtonValley.org or call 800-367-3364 (DO-SEE-NH). To plan for a winter vacation in New Hampshire, go to www.VisitNH.gov.